Republican Sen. Orrin Hatch of Utah says he will not seek re-election after serving more than 40 years in the U.S. Senate. Hatch, 83, says he's always been a fighter, "but every good fighter knows when to hang up the gloves." 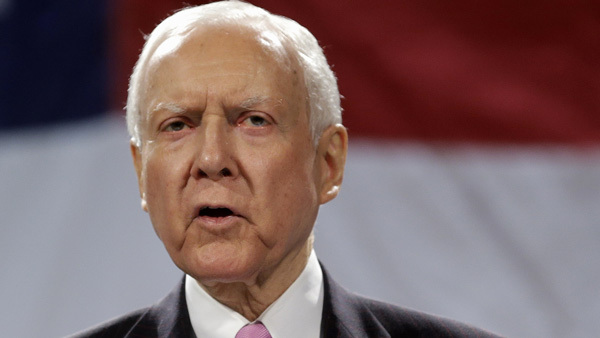 Hatch is the longest-serving Republican in the Senate. He chairs the powerful Senate Finance Committee and was a major force in getting a tax overhaul through in December. His retirement opens the door for Republican Mitt Romney to run for his seat. Hatch says he decided to retire at the end of his seventh term after "much prayer and discussion with family and friends" over the holiday break. He says "I may be leaving the Senate, but the next chapter in my public service is just beginning."